Check out our current contests and enter to win! 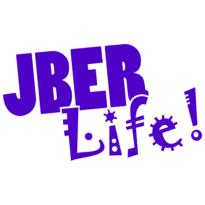 Welcome to JBER Life! Here you will find all of our FSS/MWR facilities and events! To stay up to date on the latest events, make sure you follow us on Facebook and Instagram. You can also subscribe for our weekly newsletter below! If you have attended an event recently and are wondering where you can see the awesome pictures we took of you, head to our Flickr! We want to ensure that your time spent here in Alaska is one you’ll look back upon fondly and say to all of your friends, “Yeah! JBER was my best duty station”. Please don’t hesitate to let us know if there is anything we can do to make your time here more enjoyable! Paid ads. No federal endorsement of advertiser intended. The appearance of hyperlinks does not constitute endorsement by the U.S. Air Force of non-U.S. Government sites or the information, products, or services contained therein. Although the U.S. Air Force may or may not use these sites as additional distribution channels for Department of Defense information, it does not exercise editorial control over all of the information that you may find at these locations. Such links are provided consistent with the stated purpose of this website.